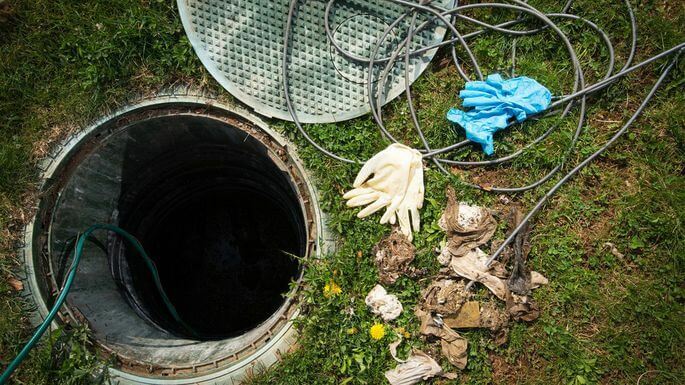 If your property uses a septic system rather than a municipal wastewater system, it may seem to be a daunting responsibility to manage your system to prevent a stinky mess from a septic disaster. Maintaining your septic system in Knoxville doesn’t have to be that difficult though; it just requires vigilance. An article by the Environmental Protection Agency provides general information about septic systems and their function. According to the EPA, septic systems are underground wastewater treatment systems. These systems treat wastewater from homes and other structures in rural areas generally not served by a centralized water infrastructure. 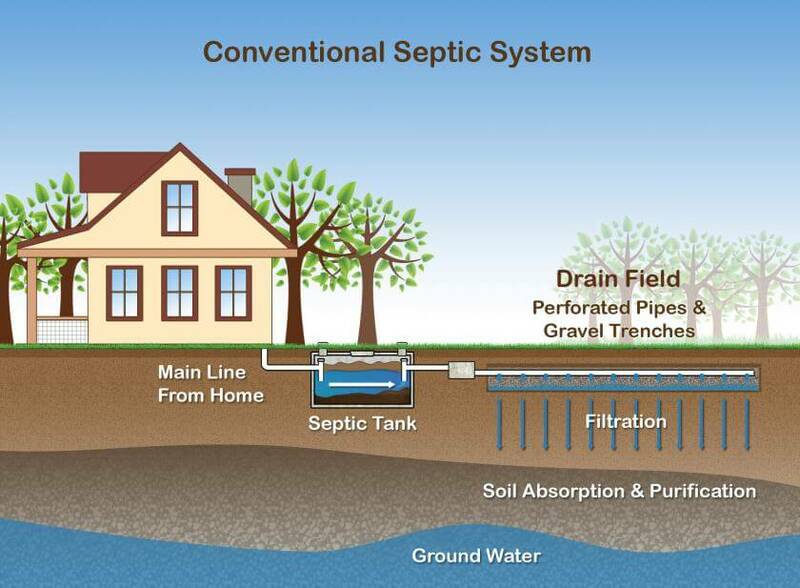 Septic systems typically consist of two components – a water-tight container known as the septic tank and the drainfield (also known as a leach field or soil absorption field). The septic tank receives wastewater and other waste material from a structure. While in the tank, floatable matter such as oil and grease is separated from solids. The floatable matter called scum floats to the top while the solids settle at the bottom of the tank as sludge. Then the liquid (effluent) drains out of the tank into the leach field. The leach field is a shallow pit in unsaturated soil. The effluent travels from the tank through pipes and is released to filter into porous soil surfaces. The wastewater then percolates through the soil. This process naturally removes harmful coliform bacteria, viruses, and other contaminants. Coliform bacteria inhabits human intestines and those of other warm-blooded animals. How do you know if you have a septic system? 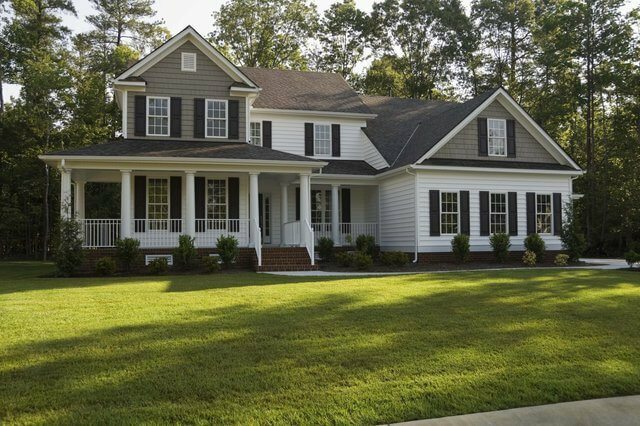 When you purchase a home that is removed from the majority of homes in a locality, it is wise to determine whether your home is connected to a local sewer system or has its own septic system. The waterline connected to your home does not have a meter. Your water or property tax bill indicates $0 charged for sewer service. So, you learned that you have a septic system. How do you find it? Looking for lids or manhole covers in your yard. Enlisting the help of a septic service to help you find it. So, you found your septic system in Knoxville … How do you maintain it? Another article by the EPA provides tips to keep your septic system running like a well-oiled machine. The EPA recommends that you have a septic service professional inspect your septic system every three years, at a minimum. Additionally, it is wise to get your septic system pumped every three to five years. This is a very general guideline, however, and the number of people living in the home as well as the frequency of overnight guests, affects the pumping schedule. Alternative systems may have features such as electrical float switches, pumps or mechanical components requiring more frequent inspections – annually, in general. If you have one of these alternative systems with mechanical parts, the EPA suggests that you maintain a service contract because of the mechanical parts. There are general guidelines regarding the frequency of pumping your system may require. One person living in a home with a septic system may only need to pump the system’s tank once every 10 years. However, a family of seven may require tank pumping every two years. For more specific recommendations, consult your septic system professional. The website InspectAPedia provides a table that includes factors such as tank capacity, along with the number of residents in a home, to suggest the most beneficial pumping schedule for your septic tank. For instance, a 900-gallon tank that generally serves only two residents only needs to be pumped every 5.2 years. Then a 750-gallon tank serving 4 consistent residents should be pumped every 1.8 years. There are many factors affecting the amount of wastewater a septic system generates, and there are just as many ways to control that flow with efficient household water use that will keep your system on an even keel and minimize extremely frequent pumping. Shorter showers and bathwater fill reduction. Turning off the faucet while shaving, brushing teeth, soaping up, etc. Quick repair of leaky faucets and toilets. Selecting any new appliance models with water saving features (i.e. high-efficiency washers). Instructing family members, especially children, in water-saving habits. Installing low flow equipment for faucets and shower heads. Preventing the entry of backwash from water treatment devices (i.e. HVAC condensate lines and water softeners) into the septic system. Reducing the amount of water needed to flush the toilets. Handy hint, place an object such as a plastic water bottle (1 or 2 liters, depending on tank fit) with a few pebbles and filled with water in the tank, this reduces the amount of water needed to fill the tank and then to flush it. Be careful that the bottle does not touch any of the toilet’s working parts. Alternatively, install new water-efficient toilets, if possible and your toilets are old enough to replace. According to the EPA, older homes generally have toilets with 3.5 to 5-gallon water capacity. The newer water-efficient toilet models, however, use only 1.6 gallons per flush. Conscious laundering habits. Washing small loads with the highest water setting wastes water and energy. Make sure to select the proper water level for each load you wash. If you cannot select a water level, wash only full loads. To minimize the volume of solids in wastewater, it is useful to remember that anything going down your drains, being ground up in your garbage disposal, or getting flushed down the toilet ends up in your septic system. Is the bottom of your scum level within six inches of your septic tank outlet? Is the top of your tank’s sludge level within 12 inches of your outlet? The purpose of the drainfield (also called a leach field) is to remove contaminants from the water draining from your septic tank. There are a few suggestions to maintain a high-functioning leach field. NEVER drive or park on your leach field. Be careful how close you plant trees or shrubbery to the leach field. Tree or shrub roots can clog or damage drain pipes. A good rule of thumb is to plant any tree as far from the leach field as its height at maturity. For instance, if your tree can be expected to grow to a height of approximately 25 feet, do not plant it any closer than 25 feet to the leach field. In fact, according to a newsletter by “Pipeline,” the only vegetation you should plant on or near the drainfield is grass. Never dig in your drainfield or build any structures over it. Additionally, DO NOT cover your drainfield with any hard surface (i.e. concrete or asphalt). The only cover recommended for the drainfield, according to Pipeline, is grass. A grass covering has two primary benefits – erosion prevention and excess water removal. Do not place sump pumps, roof drains, or any other rainwater drainage systems too close to your drainfield area. Excessive water will slow down or completely stop the natural wastewater cleansing process. Maintain records of any work your service provider performs on your septic system. For accurate guidance in septic tank pumping frequency, record sludge and scum level your plumbing professional finds when servicing your system. Make sure your septic service provider provides written notes concerning your tank’s condition and any repairs performed. Finally, keep your eyes open for trouble in your septic system. Here are a few indications that your septic system needs immediate professional attention. Although septic system maintenance in Knoxville does not need to be difficult if you are vigilant, most homeowners are not equipped to perform Do-It-Yourself system service. So, when you have a question about your system or determine that your system needs servicing, call the experts at J & J Septic Services in Knoxville, to get the most reliable service for your septic system. Everything You Need to Know About Emptying Your Septic Tank Is your Septic Tank ready for the Holidays?